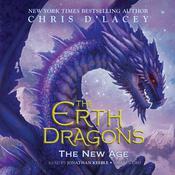 New York Times bestselling author Chris d'Lacey spins the epic conclusion to his saga of the original clash between humans and dragons. 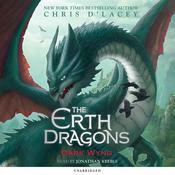 From Erth to the dragon homeworld, Ki:mera, everything has been forever changed by the meeting of dragons and humans. Their fate has become inextricably intertwined -- and their story will transform the very fabric of time. Ren, the human boy, now has unprecedented powers. With his control of a magical horse, his abilities scare even the most formidable dragons. Yet the dragons fear even more the rise of the dark dragon Graven, and rumors that the dragons who came first may have known more than anyone realized run rampant through the wearle. 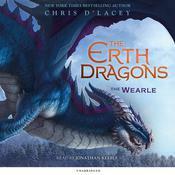 As the implications of the dragons' colonization expand, new creatures are drawn into the conflict, and Gabrial and Grendel will travel beyond the ends of the Erth to save their two young wearlings. In this epic and sweeping third installment of New York Times bestselling author Chris d'Lacey's Erth Dragons trilogy, new powers and new worlds collide in a blazing conclusion. Chris d’Lacey is the author of several highly acclaimed books, including the New York Times bestselling Last Dragon Chronicles series. In July 2002 he was awarded an honorary doctorate from the University of Leicester for his contributions to children’s literature. He lives in Devon, England, with his wife, where he is at work on his next book.